"Are You Ready To Kick Rejection To The Curb And Explode Your Network Marketing Business?" Discover 5 Myths You’ve Been Told About Network Marketing That Are Keeping You Stuck And Struggling… PLUS How To Break Out Of This Mode And Create A Never Ending Stream Of Red-Hot Prospects Ready To Join Your Business TODAY. If you want to PERMANENTLY END REJECTION… and discover a simple system to attracting an endless stream of qualified prospects… PLUS get paid whether they join your business or NOT… then I urge you to set everything else aside and study every word on this page as if your life depends on it. The success of your network marketing business does. In the next few minutes, I’m going to reveal to you 5 BIGGEST MYTHS in our industry. Myths that are keeping you stuck, struggling, and still earning a minimum wage in a business YOU KNOW can pay you a fortune. My name is Ferny Ceballos. 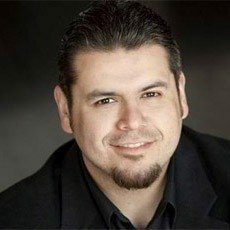 I’m a 8-figure earner and internet marketing specialist with Thousands of students around the world, many of whom have gone on to produce 6-Figure and 7-Figure incomes in network marketing, internet marketing and direct sales. However, things weren’t always this bright. You see, back in 2006, when I was about 9 months into my first network marketing company, and doing everything I was told, such as.. I had completely tapped out my warm market, had a small dwindling team of unmotivated reps who couldn’t recruit their senile grandma to save their lives. And I couldn’t get enough new people to fill my ‘leaky bucket’ of an MLM business. I absolutely hated my job. The chilling idea of fighting brutal LA traffic every morning so that I can be stuck in a little cell for 8 hours a day… and doing it every single day for the next 40 years of my life sent goosebumps down my spine. I was drowning in credit card debt and falling behind on my bills from all the money I was spending on this little business. Not to mention being sick to my stomach of rejection, home meetings, driving long hours at night… as well as being made fun of by my coworkers, family and so-called friends. The same friends who accused me of peddling some pyramid scheme or products they could buy at Walmart for less. And to Fire Your Boss! But at this point I was feeling hopeless and totally discouraged. I didn’t even have it in me to pick up the phone and call another prospect. I simply could NOT stomach any more rejection. As a matter of fact all this was starting to take a serious toll on my health. I was depressed. Angry. Didn’t sleep well at night. My energy was completely drained before lunch time. And I was only 26 at the time. I was within a hair’s breadth of throwing in the towel and calling it quits. And if it wasn’t for a little website I accidentally stumbled upon one late evening, I’m pretty sure I would have. I discovered a completely new world which I felt was being deliberately kept from me. I remember like it was yesterday. Sitting at my computer next to a growing pile of bills. Desperately searching for anything I could find about building my network marketing business online. And I’m reading this article about a guy who was literally recruiting thousands of people into his business. Here I am killing myself, driving all over Southern California, doing meetings and I sponsored a whopping 17 people in almost a year. Yet here’s a guy who sits behind a computer and in a single month recruits a friggin’ army. By the way, his name is Tim, and I’ll tell you more about him in a little bit. However at that moment, as you can imagine, I was more than skeptical. After all, I’ve already had a fair share of “kool-aid” shoved down my throat. But I didn’t let that distract me from getting ALL THE FACTS before writing it off as a bunch of hype. Instead, I stayed up late into the wee hours trying to soak in as much as I could, even though I had to be up at 5am the next day.. Ever heard this one before? I bet you have, and it probably kept you from losing your mind when most, if not ALL your friends, family, neighbors, and co-workers said NO to your business. Because after all, it’s a “Numbers Game”, right? Well, even though this is partially true, business is a game of numbers, there is a way to build yours without facing ANY rejection whatsoever, and skip the embarrassment that comes with it. You’ll discover how further on this page. I think some Network Marketing Leaders say that just to give you a false sense of hope that your winning lottery ticket is just one rep away. Theoretically it’s true. However I’ve met people who personally sponsored HUNDREDS into their company and never got their business off the ground. I’ll tell the real reason why in a moment. And more importantly, how you can FIX this massive leaky hole in your business. This one might surprise you. Prospecting by making cold calls, going to the mall, talking to strangers, passing out flyers or business cards… all this is a BIG HONKING WASTE OF TIME, compared to the leverage you have available to you with social media and the internet. Seriously, think about it… if you spend all of your time and energy out in public and burning gas driving around town trying to get in front of people, you’ll have no time left to actually run your business. I, like many Network Marketers was not only working IN my business, but I wasn’t even making any money for it. I’m going to show you how to shift your focus to much more profitable activities, that will explode your Network Marketing business without doing any traditional or in-person prospecting at all. Now before you grab the torch and the pitchfork, hear me out. Recruiting is an essential part of your success in Network Marketing, but it is NOT the key. Thinking that it is, would be the same as saying the key to McDonald’s success is selling franchises. It’s not. Hold that thought for a moment, because this might be one of the most IMPORTANT things I’m going to reveal to you. Do what other successful people have done, and you too will be successful. Here’s the problem with this thinking. Most of the advice given today in Network Marketing, comes from the “old school” methods that might have worked well in the 80’s and the early part of the 90’s. Seriously. We are over a DECADE into the 21st century, and the old “tried and true” methods will soon become as outdated as the Pony Express. Last time I checked, my mail man pulled up in a car. And I’m gonna go out on a limb here and assume yours did too. With what we have at our disposal today, it’s INSANE to continue and rely on these dying and quite frankly, painful tactics, and not leverage the technology you have at your finger tips. You could take a steamboat across the Atlantic today, and hopefully make it through rough weather in a week’s time. OR… you could hop on plane and get from New York to London in just 6 hours. And The Internet is Now KING! My old school mentors who had created their “wealth” in the glory days of Amway, had been teaching me things they knew no longer worked because the internet had completely changed the game. In fact, they did everything they could to shield me from the internet. Why Would They Want To Expose The Truth? There’s absolutely NO NEED to “pound the pavement” on a daily basis, when you can let an automated system do ALL the heavy lifting for you. Get leads & prospect for you without having to pick up the phone to cold call or deal with rejection from tire kickers ever again. Get highly motivated prospects with a few keystrokes, real people who actually WANT to see what you’ve got! Save yourself weeks, months, and possibly even years of frustration, and NO RESULTS… and build a successful Network Marketing business and create an instant income in NO TIME FLAT. A concept I discovered that night, which has permanently put an end to all my financial problems, and opened the door to a massive amount of money and success. No more cold calls or late night hotel meetings. No more passing out flyers or talking to strangers trying to get them “interested” in my business. And no more hassling my friends and family about joining my opportunity. I started generating 100’s of quality leads online, all with a click of a button. I was recruiting leaders into my business without picking up the phone, or trying to sell anyone on anything. I made over $60,000 in passive commissions in the next 12 months using strictly the internet to attract people. I launched a new business and grossed over $700,000 in the first month online, doing it ALL FROM HOME. In fact, TODAY - Network Marketing distributors & leaders alike - from all around the world - are paying my partners and I, up to $50,000, EACH, to come spend a day with us, to learn our step-by-step “Attraction Marketing” system. The business transformations and success stories that have come out of these VIP DAYS have been amazing. Because for the first time in their business career, they knew EXACTLY what to do, and had the CONFIDENCE to take action, knowing the results will be huge. And did I mention they did it with ZERO REJECTION? Some have become mentors to others, and have created success stories of their own. WITHOUT using the “old as dirt” methods still being taught to wide-eyed Network Marketers all over the world as your read this. No more rejection, frustration, or embarrassment. You only get to deal with HIGH QUALITY people, who aren’t going to haggle you or throw some stupid “is this a pyramid” objection. And the best part is the entire prospecting & qualifying process can be almost 100% automated. Which means you don’t need to work IN your business, but instead, like a REAL entrepreneur be working ON your business. Making it more profitable and lucrative for others to want to join YOU. This is the POWER of Attraction Marketing. And you’re about to discover how to get your hands on this step-by-step system. Back in 2008, after my first wave of massive success, I wrote an earlier version of this system to keep up with the demand of people who wanted this powerful blueprint. The response has been mind boggling. … and see fast results in their Network Marketing businesses. And now you have an opportunity to get YOUR hands on a brand new and up-to-date edition of the same blueprint, called Attraction Marketing Formula. This is now the 6th edition and available for the first time in over a year, which has been updated to take advantage of the latest internet marketing tricks & strategies. This ‘stripped down’ manual has transformed thousands of lives and is the exact blueprint all our high-end workshops students study first to create their online lead getting machine. You'll have the opportunity to instantly download and access this powerful information immediately. 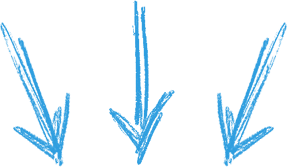 How to turn the tables on all the skeptics and boneheads… NEVER AGAIN explain to ANYONE the difference between a “pyramid scheme” and your MLM opportunity – and Get Qualified & Interested Leads Only! This truly is just the tip of the iceberg of what you’re about to discover inside this tightly condensed Million Dollar playbook. "I’ve been using AMF in my business and it’s helped me explode to where I am…"
"AMF is the answer to marketing on the internet…"
"If You’Ve Struggled In Network Marketing, Struggled To Get Leads, Or Just Tired Of Chasing Your Friends And Family – Then You Definitely Want To Listen UP…"
This is what you have to look forward to when you grab the Attraction Marketing Formula and put my system to work for you. PLUS… when you order my step-by-step blueprint today, you also get these 2 valuable bonuses. It cost us well over $100,000 to develop this lead-generation and commission producing system. And we’ve charged others a very modest fee of just $19.97 per month to use it. However, as a member of the Attraction Marketing Formula you’ll have instant access at NO ADDITIONAL COST. Remember my mentor Tim Erway? The guy who recruited 1,732 people in a single month? What I didn’t tell you is that Tim has generated over $30,000,000 in sales online. And has been responsible for training a whole new generation of Internet Marketers. Many of whom have become 6, 7, and some even 8-Figure earners, launching their own Internet Empires. And as a special bonus for getting Attraction Marketing Formula today, I’m inviting you to join Tim and myself on a one-time-only LIVE training webinar, where Tim will reveal his system for generating over $30 Million Bucks online… and show you how YOU can kickstart your Network Marketing business and explode your income using the exact same secrets. Even if you can’t make the LIVE training, the recording will be posted inside your member’s area. Finally, this is my personal “I’m not gonna let you fail and will virtually guarantee your success” bonus! How exactly will this help me build my network marketing business? 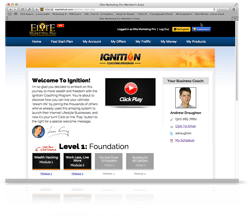 So my team and I put together our heads and decades of combined experience, and designed a very unique implementation process - The Ignition Coaching Program. Basically, I’m going to hook you up with an expert business coach, who’s going to show you how to hit the ground running, put everything you’ll discover inside Attraction Marketing Formula into action, and make it almost impossible for you to fail. Each of our coaches is hand selected and has a lot of experience with both traditional network marketing, as well as using the internet to generate leads and recruit. In other words… they walk the walk. You get THREE 1-on-1 calls with one of these marketing experts, who KNOWS how to get results and will help YOU take action, implement every step of the process, and accelerate your success. PLUS.. you’ll also have access to a very special 5 part training from Tim Erway. 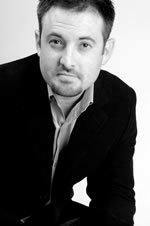 As I already mentioned, Tim is a master at creating and putting together automated business boosting systems. In this bonus training, Tim is going to hand you additional internet marketing strategies you can use to rapidly grow your business and take your income even higher. 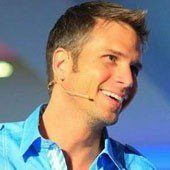 The same strategies he’s used to create over $30 Million in sales, and helped his students rake in way north of a Hundred Million Bucks. You’ll discover both the mindset and the skillset you need to creating a true Lifestyle Business. As well as wealth building secrets to help you become Totally Financially FREE. Are You Ready To Kiss Your Struggles And Frustrations Good-Bye… And Explode Your Network Marketing Business? I’ve thought long and hard about how much I should charge to reveal all these business building and income exploding secrets. After all, it cost me over $250,000 of cash out of my own pocket to learn these same marketing strategies I’m about to hand you and I'm certainly not just going to give them away. So I think you’ll agree that at $97 it’s a heck of a bargain. But I’ve decided to make it really a no-brainer for you, and chop that in half. Which means you can get your hands on the entire Attraction Marketing Formula in the next 2 minutes for only $47. Plus remember, I’m also throwing in two valuable bonuses worth $294.00 for FREE. 88 Pages of No-B.S. 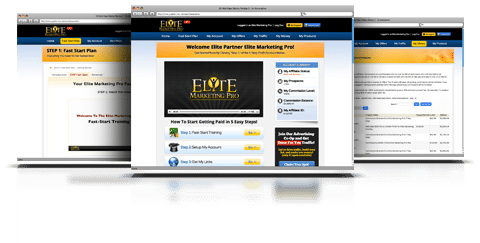 & No Fluff Guide to Creating Your Own Online Prospecting Machine on Auto-Pilot! Plus, you’re covered by my NO QUESTIONS ASKED 100% MONEY BACK GUARANTEE. 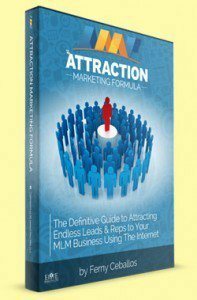 If in the next 30 days after you get the manual you don’t think Attraction Marketing Formula will help you explode your business and your income, I demand you get a refund. Simply shoot my support desk and email and we’ll promptly and cheerfully refund your payment. No questions asked. Heck, you can even keep the copy of the ebook as a gift from me to you! So as you can see, there’s absolutely nothing to lose. As a company that helps build independent leaders and empower entrepreneurs, I’m especially excited about this initiative. We’ve made a commitment to support a very special organization, Heifer International, with every single purchase of Attraction Marketing Formula. Heifer is on a mission to help end hunger and poverty by providing relief and empowering struggling communities around the globe to become self-reliant. And we are pledging $1 from the proceeds of every copy of Attraction Marketing Formula to this worthy cause. Collectively, these seemingly small donations enable us to raise money, including the ability to donate a Gift Arc. This provides a number of communities around the globe with livestock, education and empowerment to people who need help right now. In fact, we've raised over $20,000 just in the first two weeks of introducing this special initiative. Heifer International helps families turn adversity into hope and prosperity. Which is in perfect alignment with our company’s mission and values. And I couldn’t be more excited about giving back through the help of this world-class organization. Go ahead and order Attraction Marketing Formula right now and I can’t wait to hear about your success. P.S. - Here are some frequently asked ones below. HELL NO! I am anti-cold calling. “I first noticed Ferny as an active member of my community. He was providing high quality content and adding tremendous value to our members. I, of course, took an interest, especially when he started teaching others in the community about advanced strategies no one in the networking marketing community was offering. Since then, I’ve invited him to work with me on several different projects. I am very selective in the caliber of people I choose to associate and work with. So the fact that I trusted Ferny to help run any aspect of my business, speaks volumes about his abilities and qualifications. P.P.S. Remember, you literally have 30 days to consume AMF and have it produce results for you. If you are not completely satisfied, simply visit elitepro.com/support within 30 days of your purchase, request a refund and we’ll process it immediately. Ready to kick the old school tried and true tactics to the curb? Click Here to order the Attraction Marketing Formula and let’s make some serious money together. Income Disclaimer: While every effort has been made to accurately represent our products and their potential there is no guarantee that you will earn any money using the techniques and ideas in this system or any of these products. This is information designed to help you understand the specific information covered. It is not an attempt to render tax, legal, or business advice. We do not purport this as a “Get Rich Scheme”. This is not a business opportunity. How you use the information is entirely up to you. While every effort has been made to accurately represent the information along with my opinions and insights, any claims made or examples given, although believed to be accurate, should not be relied on in any way in making a decision whether or not to purchase.